Witch Tree Prophets is available to pre order now via Stone Breath bandcamp or Dark Holler Arts. 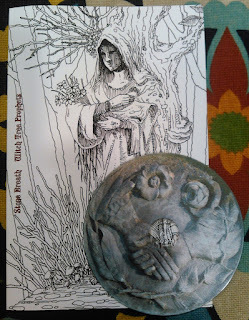 The first edition CD is only available directly from the band and comes with a 30 page booklet which includes lyrics, illustrations completed specifically for this project, and two essays: one by Stone Breath's Timothy who tells the story of The Witch Tree and one by noted paranormal author, David Weatherly who presents a tale of a tulpa. A second edition of Witch Tree Prophets without the booklet and in a standard CD jewelcase will be made for general distribution.